Project Cockburn - malariaresearchhus Webseite! Evidence that a malaria vaccine is feasible comes from studies that show that immunization with irradiated malaria sporozoites (the lifecycle stage injected by the mosquito) can protect against live parasite challenge . Recently there has been great interest in producing vaccine grade sporozoites for immunization; however, these are fragile and have to be stored and transported in liquid nitrogen. A solution to the problem of cold chain storage would be the use of heat killed sporozoites; however, these are poorly immunogenic and do not protect. 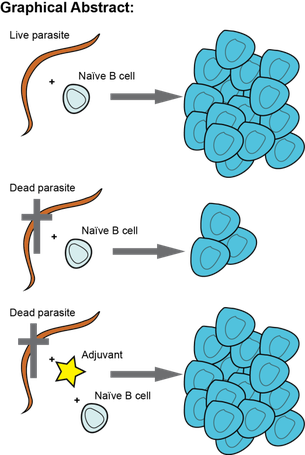 The groups hypothesize that live attenuated sporozoites are better able to stimulate B cell responses than heat killed parasites because the immune system is able to sense live parasites better than dead parasites.In this project the immune response to heat killed and irradiated sporozoites will be compared and it will be determined what factors are likely to mediate the differences in immunogenicity. Having determined these factors, the project will aim to make adjuvants that are able to augment the response to heat killed parasites to the level of live irradiated parasites. The Cockburn and Sander laboratories have a range of tools in place to make this possible. The Cockburn lab has developed antigen-specific probes to track the immune response to the immunodominant circumsporozoite protein (CSP), which coats the surface of the Plasmodium sporozoite. Using these tools, the lab can track and characterize B cells responding to malaria antigen by flow cytometry. The Cockburn lab has also developed immune globulin (Ig)-transgenic mice, expressing the Ig-heavy chain of an antibody that recognizes CSP of P. falciparum. The Sander lab has lentiviral knockdown libraries available that will enable to examine key molecules required for the innate immune recognition of sporozoites in a high-throughput cell-based screen. We also have extensive expertise and interest in the development of novel adjuvants to mimic the immune-stimulatory properties of live pathogens.